Mark has been a hairdresser for 20 years, the last 16 years of which as a salon owner. 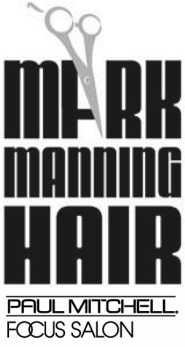 In 2010, Mark opened Mark Manning Hair in Kensington, MD. Mark Manning Hair is a Paul Mitchell Focus Salon meaning that Mark works exclusively with Paul Mitchell products and color. Mark’s work with leading hair care companies such as TIGI & Sebastian, has taught him the importance of continuing education. He has studied precision cutting, color, and highlighting techniques at the world-renowned academies of Paul Mitchell, TIGI London, & Graham Webb. re-conditioning (straightening) & Hair extensions.